Experts in web design, we craft exceptional websites. | a site with horsepower. Looking for an upgrade? Have questions? 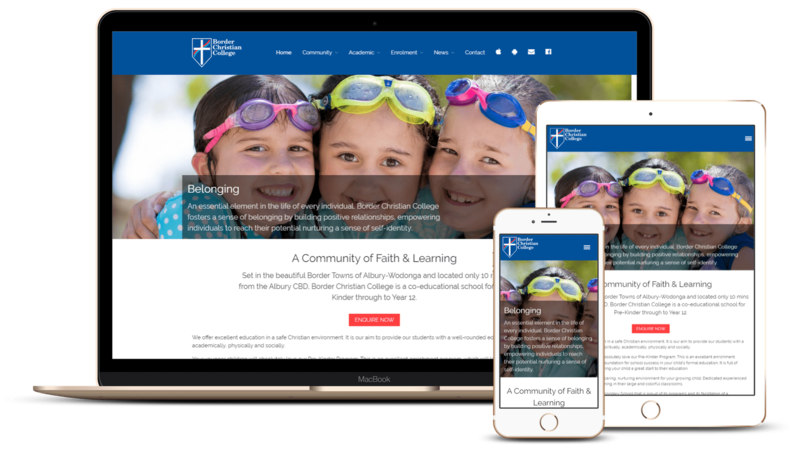 A complete redesign of the Border Christian College website to ensure it shines on the modern web. We built the site using modern web technologies with a focus on responsive design for today’s mobile internet. A tremendous organic SEO success story, the Border Christian College website ranks very highly for a variety of related search terms. Jack consistently provides a professional, fast and reliable service. He is creative, efficient, and a real pleasure to work with. The new website has increased our online enquiries and the feedback from our community is very positive. Being busy is great. Going grey because you’re too busy? Not so much. This is where we come in. With the CloudDev white label website service we build sites according to your requirements for you to on sell to your clients without any branding or indicator that you’ve outsourced the work. Our multi-stage build process ensures the website meets your specifications. We like to build successful business relationships and are happy to offer significant discounts for ongoing clients. We’ve been in the industry a long time. Long enough to know when you’re onto something good, stick with it. We’re not afraid to share some of the great products we use behind the scenes because we know each and every service we offer is much more than the sum of its parts. is an Open Source CMS so flexible we are able to create virtually any type of website from a basic brochure site to an interactive LMS system. is a well-established WordPress theme that allows us to design a near-infinite variety of websites. Our use of GeneratePress allows us to maintain a consistent development approach whilst ensuring our ability to support the site for the foreseeable future. is a flexible and incredibly powerful Open Source eCommerce plugin for WordPress. WooCommerce allows us to take our WordPress websites a step further and create powerful and easy to use online stores. Since I’ve taken on a full time position at another company, CloudDev is no longer taking on new clients. Thank you for your interest.